"Go Be A Bunny Girl" they said "You have the ears for it!" 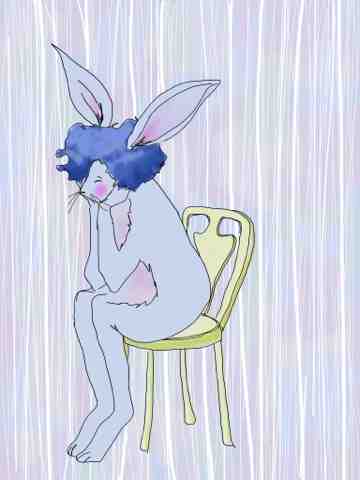 It's hard to be a powder blue bunny in average rabbit warren. Her long legs and ability to stand and pose was something else that set her apart. Shunned for her glamour Suzy left and headed for the mansion.